Soil is defined as the thin, hopefully fertile, layer of earth that began as rock. Time and weather broke the rock down into fine and then finer particles. The breakdown process which is ongoing, exposes minerals in the rock which react with chemicals found in the atmosphere and in the bodies of decaying organisms such as insects. The disintegration process of these rocks eventually produces a fertile material that is able to support living organisms and is the product we call soil. A very an productive soil that is capable of growing plants, vegetables and flowers, tends to have four layers. These layers A, B, C and D Horizons and include A – topsoil, B – fine particles of rock with little organic matter, C – fragments of rock, partially decayed rock and clay, D – solid rock or bedrock. Our main focus goes to A Horizon, the topsoil. This precious layer is meant to be rich in decayed vegetable, plant and animal matter, including fallen leaves and deciduous plant material or plants that lose their foliage after the growing season. We call the end product humus. 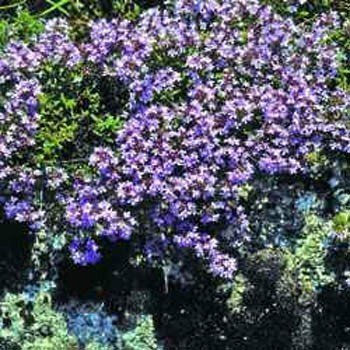 It is either brown or black in color and is an organic matter that provides nutrients for plants and helps the soil retain moisture. The work humus originated from Latin and literally means earth, ground or soil. This topsoil layer is the “living” layer of earth that is alive with microorganisms. The microorganisms break down dead plant and animal matter. 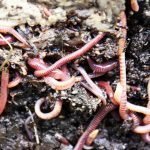 Worms produce castings – a form of waste and earth that is filled with nutrients for growing plants. There are also soil invertebrates (spineless creatures) such as beetles and mites that feed on the microorganisms. In addition, the vertebrates (creatures with spines) help to stir up the soil and these include of course, the lizards, mice, moles and others such as voles – for whom we are not so grateful at having around. Although B Horizon is a much coarser layer below the topsoil, it so benefits and is enriched by the hard working worms and centipedes that contribute their excrement to this several feet think layer. C Horizon holds the water and is saturated with water which we refer to as the water table or water level and as such, is an infertile layer. Finally, for our purpose there is little to discuss about D Horizon, the solid rock level of earth which forms the foundation upon which all soil, sand, clay, gravel and every type of earth material rests – and for which we are quite grateful. Knowing a little about the layer seems to cast an understanding on just how important and precious that top layer of earth is for the continuance and support of all life forms and how the cycle of life is sustained and made favorable through the efforts of worms, insects, leaves – charitable contributors whether dead or alive!